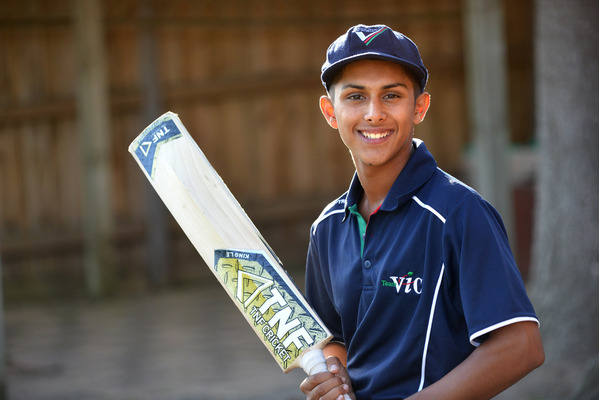 North Dandenong prodigy Yash Pednekar is an exceptional talent, a class batsman with maturity, composure and a willingness to always better himself. It’s a view shared by Cricket Australia’s youth selection panel, who view the not yet 17 year-old as one of the brightest stars in the country. As one of 39 youngsters from around the country – and one of just seven Victorians – selected in the CA Pathways Rookie Squad in the 2018 intake, Pednekar is carving out runs, but has a humility about him that will hold him in good stead. Put simply, he understands that the hard work is ahead of him. “It really motivates me, and it’s always good to be recognised,” he told the Journal of his selection in the Rookie Squad. “It’s like your living the dream, but you’re not quite there yet, so it makes you push that little bit harder. Based off form in the carnival and a view to future talent in the country, the program saw two Victorians – Patrick Rowe and Mackenzie Harvey, as well as Queensland’s Connor Sully from last year’s squad – earning rookie contracts with their state. Pednekar’s brilliant Under 16 International Series against Pakistan, scoring 211 runs at 42.20 in April this year, as well as a further 207 at 41.4 for Cricket Australia XI in the 2017 Under 17 National Championships was enough to truly seal the deal. “Wherever it takes me, whether that’s first XI cricket, state cricket or international cricket, I want to enjoy my cricket and trust my process,” Pednekar said. The classy top-order batsman is plying his trade for Premier club Monash Tigers, as he prepares for the Under 19 National Championships in Adelaide that begin on 3 December, and said that he is just looking to put some runs on the board, and continue to develop his game. Pednekar has carved scores of 40 and 60 in recent weeks in the thirds down at Central Reserve, and said that the confidence is growing with every training session and match. “It’s been good (playing for Monash Tigers) – I’ve got a few scores now, so my confidence is really building, which is great,” he said. “Training with the senior group and mixed players at Monash has been great – training with the ones, you get a good feel of how it’s going to be, and gives me confidence heading into the future. “I don’t want to put a number on anything, but I just want to cement my spot as a quality top-order bat the club, and continue to develop my game, because the rewards will come. As the youngest member of the Victoria Country Under 19 squad ahead of the Championships, Pednekar is relishing the prospect of the challenge, and will be looking to pile on the runs. “I don’t think it really matters (his age) – I’m used to the environment with bigger bodies around me, I’m pretty confident now,” he said.